Robin Thicke Allegedly Names His Next Album 'Paula' Because He Still Hates These "Blurred Lines"
It might seem ironic — or unsurprising — for the man behind "Blurred Lines", but when Robin Thicke falls in love then he falls hard. No one has taken Thicke's split from Paula Patton harder than he has and there seems to be no end to the infinite number of steps in his plans to win her back. He's sent her more flowers than you can fit in a single greenhouse, he's professed love to her on stage, and he even performed a song called "Get Her Back" at the 2014 Billboard Music Awards. This is a man on a mission. The next phase of the mission is for Thicke to name his next album after Paula Patton and we should have seen this coming. Although Patton has admitted she still loves Thicke, there's been absolutely no sign that she's interested in any kind of reconciliation so far. Of course, just because she isn't interested doesn't mean that Thicke's just about to give up and walk away. On the one hand, it's understandable. Thicke and Patton met when they were 14 years old and they have a son together. 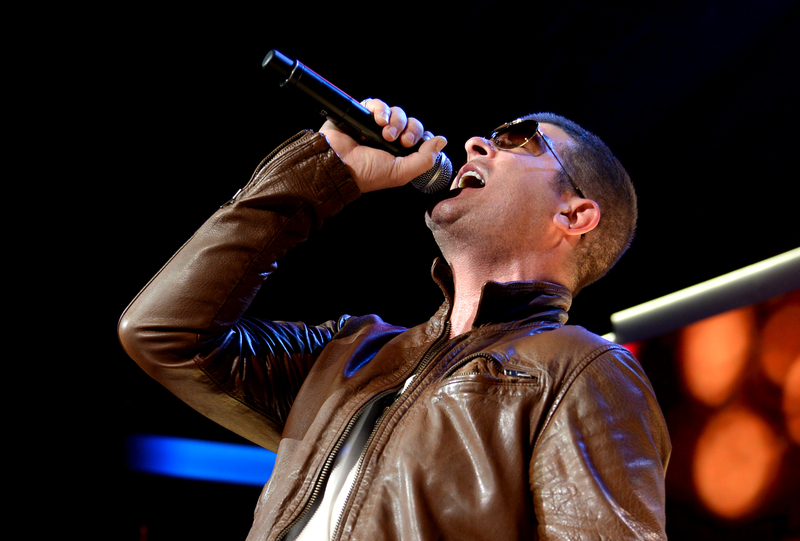 Thicke's already chronicled their relationship in a song from the Blurred Lines album called "For the Rest of My Life". He would be kind of a liar if he threw up his hands and went skirt-chasing so soon after their split in February. On the other hand, the grand romantic gestures and overblown actions feel a little sketchy considering the controversial lyrics and message behind Thicke's huge misogynistic hit. After all, nothing indicates "I know you want it" like refusing to back off when a woman says she needs a long, possibly permanent break from your relationship. Thicke is heartbroken and still in love and no one expects that to just go away after only four months, especially considering how long he and Patton have been together. However, if "Get Her Back" didn't get her back then it might be time for Thicke to give her some space for a while. Of course, there's always a chance that this could be cathartic for Thicke. Just ask Taylor Swift about how much better you feel after writing songs about your exes. She's never gone as far as to name a whole album after one of them, but since Paula's lead single is "Get Her Back" then at least Thicke isn't running a smear campaign. And, who knows? This might be the thing that pushes that reconciliation forward at last. The album will be released on July 1.